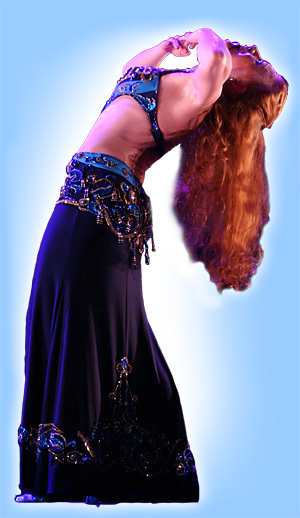 The Rumbita dance was developed in 2006 by Kirsi Kannas – a Finnish flamenco dancer and a teacher of the Spanish language. Currently the concept of the Dance Rumbita® has been developed by the Finnish company Lunares Oy, which organises high-quality license instructor training courses for dance and fitness instructors. Kirsi Kannas is still operating as the head trainer and the choreographer. Dance Rumbita® is an ethnic dance form full of expressive power and emotions ranging from one extreme to the other. In some aspects its movements resemble the brassy flamenco, while sometimes it feels like a sizzling show dance or the happy salsa. All this is accompanied by the grace of an Oriental dance. Dance Rumbita® helps to find the joy of dance. It teaches you to move suavely to the music, and to dance delicately, in a ladylike and sensuous manner – while tense and powerful movements add grace and poise to the expression. Swinging hips and softly moving shoulders improve the wellbeing of the back, and promote your fitness without you even noticing it. Dance Rumbita® embraces styles intended both for dance enthusiasts, as well as for those who enjoy group fitness training; it is suited for people of any age, and for beginners as well as for professionals. The trainees advance from level to level, developing their sense of rhythm, the dance technique, and – above all – the ability to express oneself. Dance Rumbita® classes at Moon Dance Studio in Turku begin in the autumn 2013.